A Grade 2 contact easily suited to most intermediate installations. Ideal for double door / shared zone use. D75MULTI features a variety of integral resistors, providing 2 wire EOL installation capability. 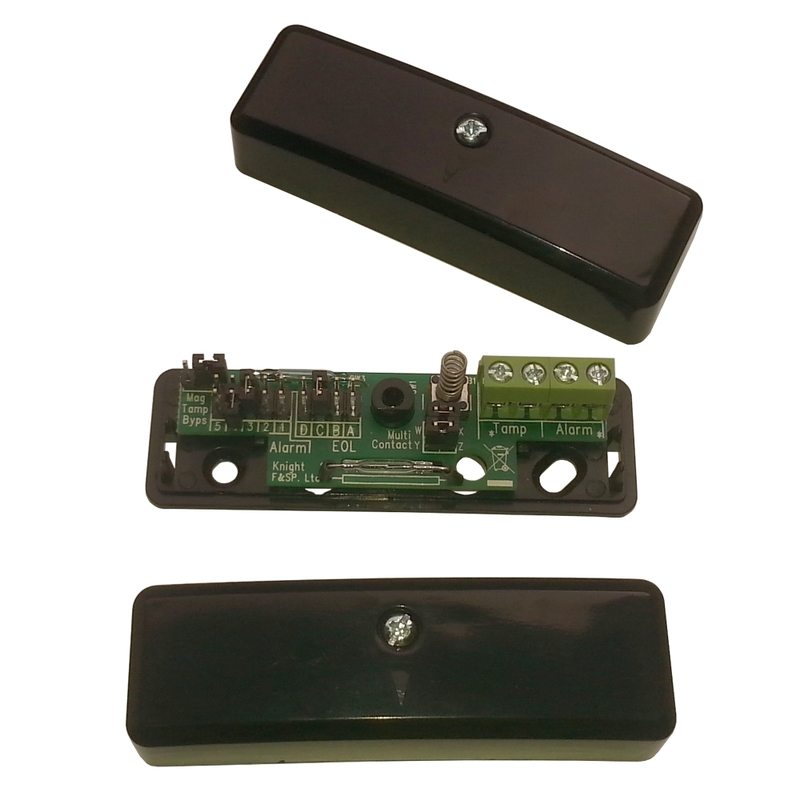 The resistors will suit a wide range of the most popular panel brands such as Honeywell, Scantronic, RISCO, HKC, Pyronix, Guardall, Castle etc. The resistors are integral to the PCB – specific configurations are made by linking PCB pins using the supplied shunts. An option is provided that will bypass these resistors entirely, should a traditional 4-wire or other configuration be required. Wiring is completed using four wire clamping screw down terminals on the PCB. A microswitch tamper provides detection lid removal. This variant has black coloured housings.